This event explored the power of imagination. Each of us already knows how to create things in our imagination, in rich and vivid ways, seeing colour and movement, hearing sound, sensing texture. But can we get more skillful in directing our attention around the internal world, at transforming ideas in a smoother, more original way? Our workshop allowed attendees to explore and play with the use of unusual imagery in creative settings, to learn strategies for creative thinking. Some of our games happened only in mental space; we learnt how to transform, reshape and experiment with images in our minds. Others were more physical. We explored how imagery might interact with the external world, through play, improvisational games and exploring movement based creative tasks. The movement games gave insight into how choreographers and dancers use imagery in their choreographic practice, inspired by the Dancer’s Mind project (www.dancersmind.org.uk). The experience introduced attendees to a creative, imagery tool-box that can be applied to any situation that requires creative thinking, whether in work or play. It was accompanied by online resources, placing the experience in the wider context of creative practice and providing material beyond that were shared on the day. All participants were provided with a personal set of Creative Principles cards as a souvenir and inspiration for their future creative exploration. Klara Lucznik holds a masters degree in Psychology (2009, University of Warsaw) and Choreography and Dance Theory (2014, The F. Chopin University of Music) and also studied physics within the College of Inter-Faculty Individual Studies in Mathematical and Natural Sciences (University of Warsaw). She is a freelance contemporary dancer, and during the past few years has collaborated with Zawirowania Dance Theatre in Warsaw. In her artistic practice she is mostly interested in dance theatre, improvisation and open form practices. In her PhD project Klara is exploring the cognitive and group processes underlying distributed creativity among dancers. She aims to scope collaborative character of dance creative practices. Firstly she is focusing on movement research though group improvisation as a strategy for generation and development of dance material, and the role of imagery in such practices. Lucie graduated from the University of Surrey with a BSc in Psychology in 2013 and from Trinity Laban with an MSc in Dance Science in 2014. Within dance science, Lucie’s main interest is in dance psychology teaching and research, and she is currently undertaking MPhil/PhD study at Trinity Laban. Lucie’s research is funded by the Leverhulme Trust as part of a large-scale investigation of the relationship between imagery and creativity in contemporary dance. Lucie’s PhD is a mixed methods investigation of the meaning and assessment of creativity in contemporary dance. She is examining the extent to which dance is understood within the creativity framework found in the psychology literature. Alongside the use of standardised creativity measures, she is developing a dance-specific measure of creativity. 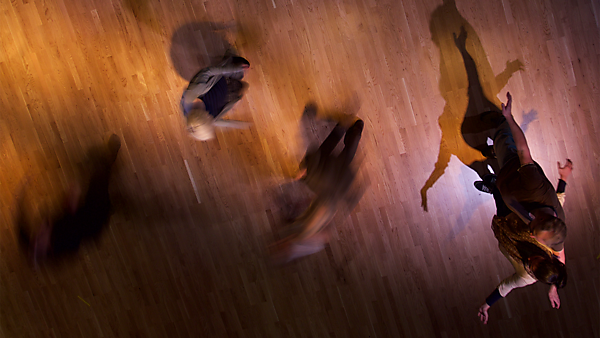 Rebecca Weber investigates the intersections between dance, science, and Somatics. She is a PhD candidate at Coventry University’s C-DaRE, while working on the Leverhulme Trust funded project, “In the Dancer’s Mind.” She is a Registered Somatic Movement Educator and holds an MFA in Dance from Temple University as well as an MA in Dance & Somatic Wellbeing from the University of Central Lancashire. Director of Somanaut Dance, Associate Editor of the journal Dance, Movement and Spiritualities, and Communications Director and Editor for thINKingDANCE.net, Rebecca has lectured in Dance for graduate and undergraduates at various institutions in the US and UK.